The Department of Plant Sciences has launched it's new website in the University of Cambridge house style: http://www.plantsci.cam.ac.uk. This comes with it's own news repository so we won't be posting any more items on this blog. However, we will keep this up as an archive of old news. 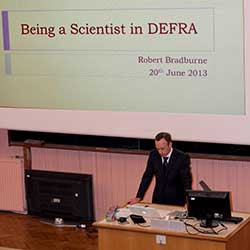 On 20th June, Dr Robert Bradburne, Head of Science in the Sustainable Land Management and Livestock Farming team at Defra, visited the department. 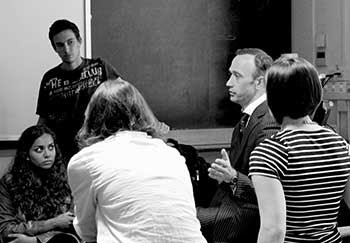 He gave a talk and led a discussion with graduate students about working as a scientist in government, and about the role of science in policy making. This visit followed a twelve-week placement by PhD student Robin Thompson (from the Theoretical and Computational Epidemiology group) at Defra, working as part of the UK-China Sustainable Agriculture Innovation Network (SAIN) team. Robin spent the first six weeks of the placement writing six papers that were tabled at the recent SAIN Governing Board meeting in Beijing, covering a range of issues including future challenges to sustainable agriculture in the UK and the role of agriculture in social and economic development. The papers were used as a basis for discussion about ongoing UK-China collaboration in sustainable agriculture. Robin spent the second six weeks of the placement putting the decisions made at the Beijing meeting into practice, and learning more about the interface between science and policy by, for example, spending a day shadowing Chief Scientific Advisor at Defra, Ian Boyd. The talk on 20th June was an excellent introduction to working at a scientist in government, and was inspirational for graduate students interested in such a career. Robin’s twelve-week placement was undertaken as part of the BBSRC Professional Internships for PhD Students (PIPS) scheme. 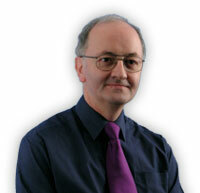 David Baulcombe is pleased to announce that David Coomes has been promoted to Reader. Congratulations to David for this well deserved recognition of his excellent contributions in research, teaching and generally to the University. 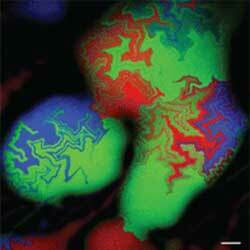 Tim Rudge and Fernan Federici have been noticed by Scientific American for their images of bacterial growth patterns. Their paper was recently published in ACS Synthetic Biology, showing how complex fractal patterns in colonies of E. coli emerge simply from the physical interactions of rod shaped cells. As the fungus responsible for ash dieback continues to devastate ash tree populations throughout the UK and other threats to the countryside continue to emerge, experts convened by Defra are advocating for stronger measures to protect the UK’s trees and plants. The independent Tree Health and Plant Biosecurity Expert Taskforce, chaired by Professor Chris Gilligan, was established late last year to address the current and emerging threats to the UK’s trees and plants. Working with an advisory group made up of various stakeholder organisations, to include industry, Defra, and the Forestry Commission as well as Border Force, the taskforce is proposing a number of initiatives aimed at minimising the risk of plant pests and diseases. Professor Chris Gilligan, chair of the taskforce and Professor of Mathematical Biology and Head of the School of Biological Sciences at the University of Cambridge, said: “The UK needs to be better prepared for threats to plant health. In the last few years alone, several previously unknown pests and pathogens have emerged, posing significant risks to the UK’s crops as well as trees in woodlands, commercial forests and in urban environments. Although the remit was to focus on trees and related woody species, the taskforce noted that many of the principles addressed in recommendations for tree health are applicable to pests and diseases that affect other plants (including agricultural, horticultural and biomass crops, indigenous vegetation and ornamental plants). Currently, there are numerous risk assessments for individual pests and pathogens at both the national and European level. The taskforce recommends a single national Risk Register for plant health. This new UK Plant Health Risk Register would serve to identify and prioritise pests and pathogens that pose a threat to the UK and to identify what actions must be taken should the threat materialise. The taskforce is also advocating an individual at a senior level who is responsible for overseeing the UK Plant Health Risk Register and providing leadership for managing those risks. The Chief Plant Health Officer would work in a similar fashion as the Chief Veterinary Officer, who oversees animal-related emergencies. The appointee would also be responsible for developing and implementing procedures for preparedness and contingency planning to predict, monitor and control the spread of pests and pathogens. There was also a recommendation that current governance and legislation needed to be reviewed, simplified and strengthened. Because of globalisation, more and more people and goods are travelling greater distances at an increasingly greater rate. As a result, there is a significant increase in the risk of introducing non-native pests and pathogens. In order to minimise the risks of introduction at the border, the taskforce has made several recommendations regarding the import of trees and other plants. They propose that no plant material for personal use be imported from outside the EU. The import of live plants, foliage, branches and other plant parts has seen a 71 per cent increase since 1999, dramatically increasing the risk a pathogen or pest might be introduced. Therefore they also propose the Plant Passport scheme, which currently only applies to some plants associated with pests and pathogens, be strengthened and also applied to seeds as a means of ensuring traceability (showing all ports of calls within the EU and last port before entry to the EU). Additional recommendations include improving the use of epidemiological intelligence from EU/other regions and work to improve the EU regulations concerned with tree health and plant biosecurity, developing a modern, user-friendly, system to provide quick and intelligent access to information about tree health and plant biosecurity, and addressing key skills shortages. 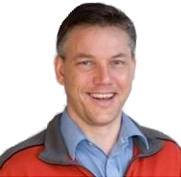 Dr Andrew Tanentzap has been appointed to a Lectureship in the Department and will take up his new post in October. 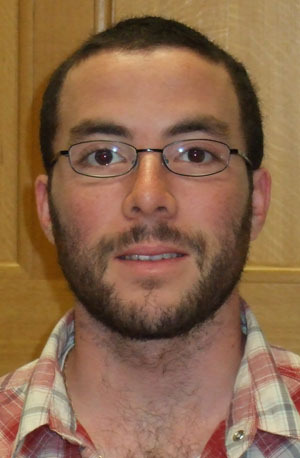 Andrew is currently a Banting Fellow at York University in Canada and also conducts research for Landcare Research in New Zealand. He studied for his PhD at Cambridge, supervised by Dr David Coomes.